Professional Black Dansko Size 43. Condition is New with box. Shipped with USPS Priority Mail. 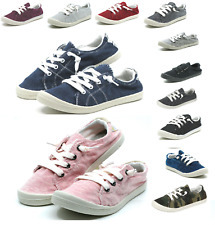 Light wear present on Heels, Uppers & Insoles. We have collected and sold more than 50,000 pieces! Heel to Toe: 9 1/2". Heel Height: 2 1/4". You'll love the way you look wearing the luxurious Cadie slippers from Vince. Real dyed shearling lining from Australia. Kitted slippers. The shoes are in mint condition. Worn only enough to scuff up soles a little bit, possible that wearer never went outside. Uppers pristine, no defects, blemishes, scuffs or discoloration. Soles and heels have no wear, 0%. Natural Sport Dr Scholl’s Machias 2 Womens Size 11M featuring Dr Scholl’s Massaging Gel Insoles. Mary Jane style. Velcro strap. Shades of khaki tan. New without box. Shipped with USPS Priority Mail. Orthaheel Cambria Shoes. Shoes are in very good condition. Shoes are missing insoles. PATRIZIA By Spring Step Women’s Brown Leather Low Wedge Slip On SZ 6 US/ 36 EUR. Condition new without box, great condition, please check pictures. Fast shipping with USPS Priority Mail. Free Returns. You are viewing a pair of sz10 NEW GO WALK 4 SPORT BY. Stay comfortable in the Tobago huaraches sporting a slingback strap for easy wear with an exclusive Pillowtop technology footbed. Softspots Tobago Comfort Leather White Fisherman Size 9.5M. Leather upper. 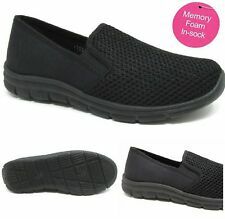 Neues AngebotEasy Spirit Trippe Casual Slip-On Shoe - Women's Size 9.5WW - Brown NEW! They have never been worn and have no signs of wear or dirt. Insoles:10.75". Womens Lucky Brand Size 7 Denim Loafers. Shipped with USPS Priority Mail. Condition is Pre-owned. P le as e fe el f re e to a sk a ny q ue st io ns. 10.5 " heel to toe, inside. NO SURPRISES! 4.5 " wide at ball of foot, from outside. Black, leather. Excellent used condition, showing little to no wear. Naughty Monkey Killion Turquoise Leather Strappy Heel. 3.5" Stacked Heal. Cork footbed and shock-absorbing EVA outsole for better-than-barefoot comfort. 100% authentic. Made in Germany. 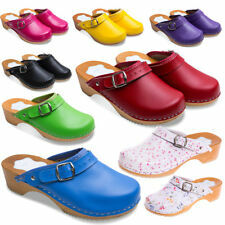 as iconic as ever with this classic clog featuring an oiled leather upper and Soft Footbed. Mephisto Mens Loafers Size 12 US Air Jet Slip On Excellent !